"A bewitching new thriller." --" The Wall Street Journal"
In modern-day England, witches live alongside humans: White witches, who are good; Black witches, who are evil; and sixteen-year-old Nathan, who is both. Nathan's father is the world's most powerful and cruel Black witch, and his mother is dead. He is hunted from all sides. Trapped in a cage, beaten and handcuffed, Nathan must escape before his seventeenth birthday, at which point he will receive three gifts from his father and come into his own as a witch--or else he will die. But how can Nathan find his father when his every action is tracked, when there is no one safe to trust--not even family, not even the girl he loves? In the tradition of Patrick Ness and Markus Zusak, "Half Bad" is a gripping tale of alienation and the indomitable will to survive, a story that will grab hold of you and not let go until the very last page. Sally Green lives in north-west England with her husband and son. She has had various jobs and even a profession but in 2010 she discovered a love of writing and now just can't stop. She used to keep chickens, makes decent jam, doesn't mind ironing, loves to walk in Wales even when it's raining, and will probably never jog again. She really ought to drink less coffee. 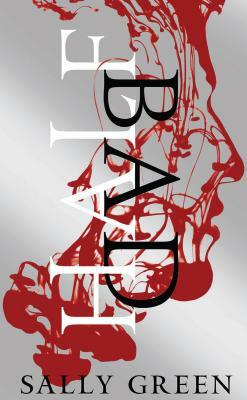 "Half Bad" is her first novel.